Microsoft Excel is a popular spreadsheet program by Microsoft that allows users to organize, analyze, forecast, and visualize data in a tabular manner. The tool has remained in every company’s work kit since forever. There is, however, a few snags that have forced many companies to switch to alternative tools and software. In this article, we are going to explain why Excel has become obsolete and why today is the right time to switch to more advanced tools. After that, we’ll take a closer look into the best alternatives to Excel (free and paid) so that you can explore the right option and make an ideal choice for yourself (and your team). So, these were a few issues you can often come up against with Excel. Thankfully, there a couple of alternative software and tools that are available in the market, and they are able to perform better than Excel. ProofHub is a versatile software that is designed to eliminate the need for investing in too many different tools and apps to run a business. This is an all-in-one solution that is used by leading organizations like NASA, Disney, Taco Bell, and more for project management, team collaboration, time management, and file management. ProofHub helps teams to make file or document management less stressful by allowing them to store, organize, share, edit, and proof files in one central place. The software is available as a mobile app for both Android and iOS users. That means you and your team can manage business-related data anytime, anywhere using ProofHub. If you have a Gmail account, you already have access to Google Sheets. It’s basically a free, web-based software office suite offered by Google within its Google Drive service. The application allows users to create and edit files online and collaborate on them with others in real-time. Sharing spreadsheet documents, online storage, shared access, real-time editing over the internet, and offline access are some of the key benefits of this program that makes it an ideal choice for businesses and teams looking to collaborate and work on projects without having to coordinate their schedules. Lastly, with Google Sheets, users can also download files to their computer or keep the online files in sync with the ones stored on their local drive for offline access. Zoho is a suite of applications that works exceptionally well for small and medium-sized businesses. The appearance and functionalities of this tool are similar to those of Microsoft Excel, but it offers a much smoother experience. With Zoho Sheet, users can open files on their computer or import sheets using URLs, switch between different file formats like .xlsx, .xls, .csv, and .ods., collaborate with others in real-time, and stay connected to work from their mobile devices. LibreOffice is an open source Excel alternative that has been derived from the original Openoffice.org, just like Apache Open Office. And it’s not just Excel, LibreOffice is an alternative to the whole Microsoft Office application. However, if we keep the fact aside that LibreOffice provides all the basic excel features like pivot table and text to columns aside, LibreOffice clearly lacks an essential functionality i.e. extensive formatting. Also, there have been many incidents where the application crashes while handling a large amount of information. And that is why LibreOffice is often considered best for personal use but not so ideal for comprehensive business analysis. Microsoft Project is a versatile, flexible tool for project management and portfolio management with both cloud-based and on-premises option. The tool is designed to help teams organize and keep track of their projects. It enables businesses to get started on the right foot while managing a project, manage project portfolio investments, and ensure successful project delivery with the intended business value. ThinkFree is quite similar to Google Drive applications. It’s a suite of web-based word processor, spreadsheet, and presentation tool that allows users to manage documents from any platform/device. With ThinkFree, users can create, view, and edit documents within the application and collaborate on them with others in real-time. The software is completely compatible with Microsoft Office and is pretty easy to use as compared to other spreadsheet applications. SPREAD 32 is an excellent Excel alternative and a go-to-tool for analyzing and organizing the small amount of business data or spreadsheet files. It includes over 300 functions under mathematics, trigonometry, logic, engineering, and financial categories. SPREAD 32 works with almost every basic spreadsheet file which includes XLS, CSV, and PXL. 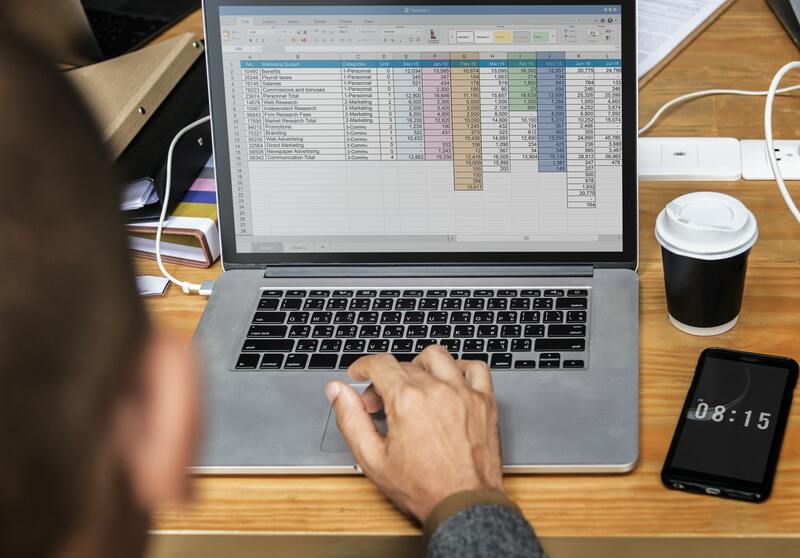 However, if you often go through comprehensive data analysis or your hard drive is crammed with data most of the time, it might be best to look into their online spreadsheets. Workzone is an easy-to-use, cloud-hosted application for efficient project management, team collaboration, and document management. For years Workzone is being used by teams to stay organized at work. The tool helps them to organize projects by tasks/subtasks, set priorities, assign responsibilities, and get notified in real time regarding project or task progress. It enables project managers and teams to keep their projects in check and quickly identify the ones that need immediate attention. It’s a mature and battle-tested project management software solution that has been an excellent Excel alternative since 2000. Redbooth is a software that has been overshadowed by the popularity of other project management and team collaboration tools for quite a long time. But eventually, teams and businesses have started to realize that Redbooth is a significantly better alternative than the competing tools, including Microsoft Excel. Redbooth is effective, intuitive, secure, and trusted by users across all industries. It serves as an ideal single place where teams can conduct HD video conference meetings, one-on-one discussions, team chats, file sharing, task management, and more. Gnumeric is an innovative and open-source spreadsheet application that provides all the basic functionalities with other additional features. For users who’ve had previous experience with any other spreadsheet software, Gnumeric is easy-to-use and is a great tool for less complicated data analysis. It’s a powerful Microsoft Excel alternative with which teams can read files saved with other spreadsheets and manage large spreadsheets while remaining responsive. Gnumeric also provides users with the ability to get a more customizable feel and save tons on transition. Scoro is an intuitive data analytics solution that can also be considered as “Excel on steroids”. It doesn’t provide the formal Microsoft Excel functionality but when it comes to organizing and visualizing business-critical information, it’s an excellent tool to work with. The tool integrated seamlessly with an array of third-party applications and tools which makes it even easy for teams to keep everything and everyone at one place. Also, it’s an excellent tool for analyzing and managing an extensive amount of business data. And as compared to Microsoft Excel, Scoro delivers more insightful and beautiful visualizations. WPS Office is an amazing, affordable office suite for Microsoft Windows, Linux, iOS and Android, developed by a software and Internet services company based in California, USA. 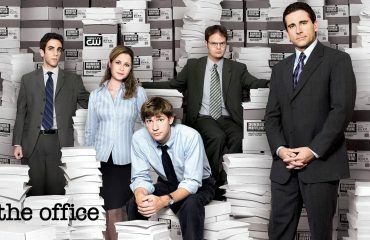 The office software solution allows teams to perform various tasks, create and modify word/text documents, convert PDF documents to editable formats, create spreadsheets and presentations, retrieve deleted files, and everything else that helps to fulfill their file management or document management needs. WPS Office is an efficient and light application that empowers businesses and teams to painlessly manage their everyday tasks and activities at work. Sheetster is an open source, standalone online spreadsheet service that allows teams to create, edit, and access spreadsheets in different formats. It provides support for a range of excel features and formulas and can import and export files in .xls and .xlsx formats without any hassle. 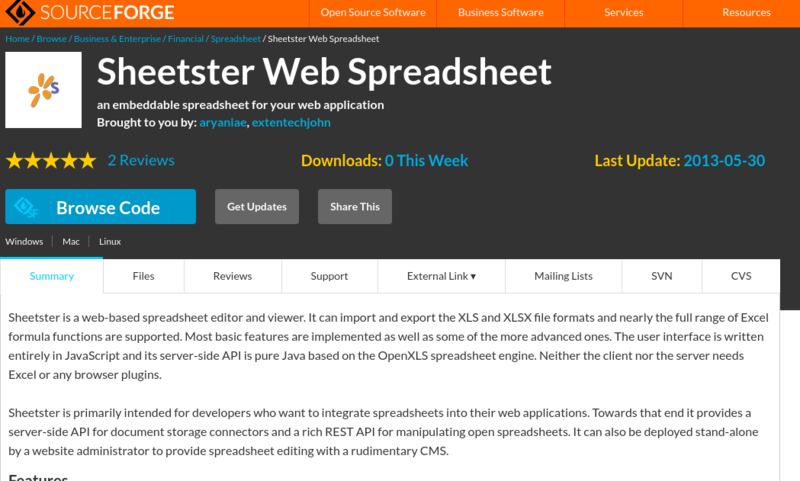 Sheetster also provides server-side API and REST API which makes it an ideal choice for development teams who are looking to integrate spreadsheets into web applications. Freedcamp, a web-based project management and team collaboration software that keeps teams organized and on track via the cloud. This free project management platform can be used for an unlimited number of projects and users. It’s an ideal software solution for businesses that are looking for ways to stay in control of their projects, resources, time, and data. Freedcamp provides an array of tools and capabilities that allow teams to achieve their goals without having to invest in multiple tools. Podio is a simple collaboration software that is designed to help teams stay organized and communicate better within the workplace atmosphere. It does that through a system that puts everything and everyone in a single place. Podia provides tools for various project management functions, including team collaboration, task management, file sharing, automated workflows, shared calendar, meeting scheduling, and integrated chat. With this software, teams can closely track their projects and keep their documents organized, no matter what. Calligra Sheets is a feature-rich calculation and spreadsheet tool. It is being used by teams across the globe for creating and calculating business related spreadsheets, including employee work hours, overall expenditure and income. The technology used in Calligra Sheets is the same as any other Calligra product. That’s why it integrates well with any other Calligra application and is easy-to-use. Furthermore, it allows users to create flowcharts and mindmaps for work and keep them in a central place until the work is done. SharePoint is a Microsoft-hosted cloud service that helps teams to store, organize, access, and share information in a more efficient manner. The solution unites some really impressive features, including content management, business intelligence, workflow management, personal cloud, workflow management, and more. The overall vision behind this solution is to streamline effectiveness and provide teams access to the relevant data at the right time. 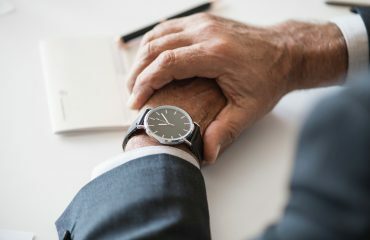 Even though excel seems like a sweet spot now, it’s better for you to keep the upcoming innovation in mind and switch to more advanced technology. It will definitely take some time to evaluate the available alternatives but do ensure that the software you choose will scale well with your organization and team. Hope you found this post helpful. Good luck!